Welcome to the 2016 edition of our Corporate Responsibility Report. With this annual publication, we seek to explain what being a responsible company means to us and give you an account of our key activities and achievements. 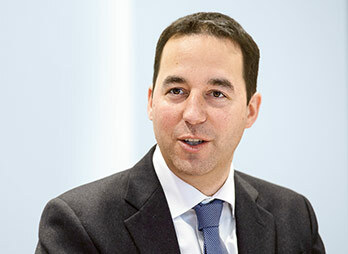 Swiss Re’s overall vision is to make the world more resilient, which requires tackling significant environmental, social and governance (ESG) topics. In 2016, we carried out a review of the most relevant ESG topics facing our company, based on our own risk know-how and insights from dialogue with our stakeholders. We have condensed the findings into a graphic Corporate Responsibility Map. 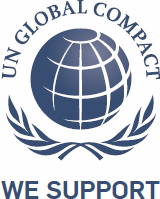 As in recent years, the current report also serves as our official disclosure document for two commitments we have made to the United Nations: the UN Global Compact and the UNEP Principles for Sustainable Insurance (PSI). We remain committed to both of these important initiatives. In 2016, we also played an active role in developing the Financial Stability Board’s Climate-related Financial Disclosures. We have started to integrate these new disclosure requirements in the “Corporate responsibility” chapter of our 2016 Financial Report and invite you to read this in parallel with the present publication. In our core re/insurance business, we continued to work closely with our clients and partners to help them tackle climate and natural disaster risks and improve food security. Highlights completed in 2016 include a pioneering scheme protecting UK homeowners against flood risks, two major natural catastrophe pilots in China, and solutions offering better insurance protection to small businesses and smallholder farmers in Guatemala, Kenya and Indonesia. In addition, we supported sustainable energy solutions by becoming co-lead insurer of two large offshore wind farm projects. While our re/insurance solutions aim to improve resilience to specific risks, in risk management our goal as a responsible company is to recognise and avoid certain risks we do not want to underwrite – because of their loss potential, ethical concerns or both. Through our Sustainability Risk Framework, we carried out due diligence checks on more than 7 000 potentially sensitive transactions, abstaining or proceeding with conditions if warranted. We also sharpened guidance for our underwriters on how to spot and deal with potential anti-bribery and corruption risks. Our highly regarded SONAR publication again presented our insights on selected emerging risks; in this Corporate Responsibility Report, you can read a case study about human-induced earthquakes. As we said at the beginning, ongoing and open dialogue with you, dear stakeholders, gives us important insights on the issues we should tackle to help make the world more resilient. In 2016, we continued to foster dialogue on topics we also address through our re/insurance solutions, ie climate and natural disaster risks, food security, funding longer lives, and sustainable energy. A highlight among several new publications we published was a three-part report produced together with the World Energy Council and Marsh & McLennan Companies on “financing resilient energy infrastructure”. We also hosted many events at our Centre for Global Dialogue, including our fourth data protection symposium focusing on ethics and e-health in insurance – an important topic raised by digitalisation. Swiss Re is a knowledge company. As such, the environmental impact of our operations is relatively small. Nevertheless, we believe that minimising our environmental footprint is an important aspect of being a responsible company. Indeed, as part of our Greenhouse Neutral Programme we roughly halved our CO2 emissions per employee since 2003 and have offset the remainder. Our current goal is to combine our growth strategy in new markets with keeping our per-capita emissions steady. We have committed to using 100% renewable energy by 2020 and are currently building a large solar power plant at our US headquarters in Armonk. In our supply chain, we have started to implement EcoVadis, a collaborative platform that will allow us to screen the sustainability performance of our suppliers more systematically. Reflecting our long-standing commitment and the comprehensive range of our efforts as a responsible company, we were confirmed insurance industry group leader in the prestigious Dow Jones Sustainability Indices in 2016 – the tenth time we have earned this accolade since 2004. 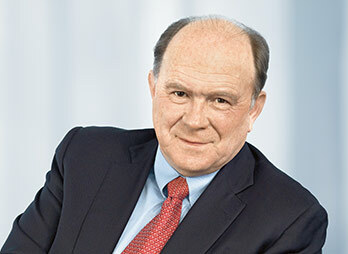 We are particularly proud of this achievement, because it represents an important stakeholder’s view of Swiss Re. Such continued success as a responsible company would not be possible without our employees, of course. We would like to take this opportunity to thank them sincerely for the professionalism and dedication they showed again throughout the past year. In this report you can also find out how we engage with our people through Swiss Re’s unique culture of being “smarter together”. This separate report describes how the Swiss Re Foundation helps communities to build resilience to risk.